Meanwhile, companies that stick with manual, non-digitized contract systems put themselves at commercial risk: Inefficiencies in internal or homegrown contracting systems cause companies to lose money-- as much as 9.2% of annual contract value—and incur high internal contracting costs. In his role as President of IACCM, Tim works with leading corporations, public and academic bodies, supporting executive awareness and understanding of the role that procurement, contracting and relationship management increasingly play in 21st century business performance and public policy. 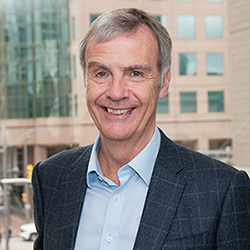 He leads the Association's extensive research programs and interactions with universities and business schools.Prior to IACCM, Tim's business career included executive roles at IBM and a period on the Chairman's staff, leading studies on the impacts of globalization and the re-engineering of IBM's global contracting processes. With more than 25 years’ experience in the tech industry, Peter Boit brings a wealth of valuable experience in helping companies digitize central business processes. Leading the contracts consulting practice at Elevate services, Craig is focused on finding the right solution for customers' contract needs. His focus is to find the right process, tools and people configuration to save businesses money, increase value and make contracting a seamless activity across multiple disciplines.